Learn Aramaic: Report: Islamic State Sieges Threatening to Eliminate Aramaic, the Language of Jesus. 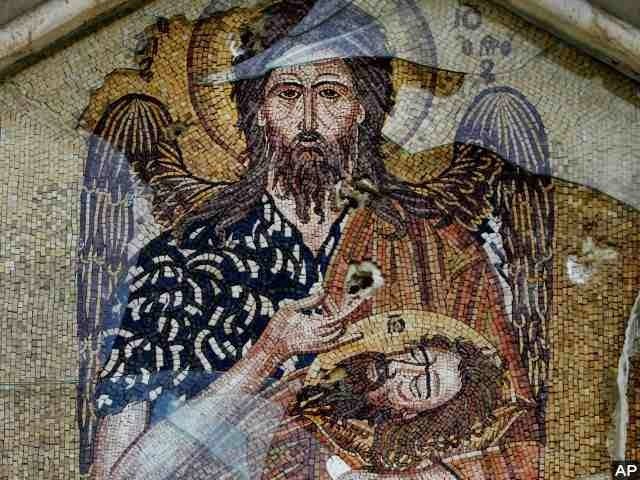 Report: Islamic State Sieges Threatening to Eliminate Aramaic, the Language of Jesus. The siege of northern Iraq against the nation's ethnic and religious minorities by jihadist terror group Islamic State threatens to significantly alter the composition of the nation and write yet another chapter on genocide in human history. The threat is also a cultural one, however, as Islamic State terrorists kill hundreds of the last remaining speakers of Aramaic. The Islamic State's onslaught against minorities in Iraq escalated to unprecedented levels upon its seizure of Mosul, the second-largest city in the nation. There, they cleansed the city of its Christians, demanding the jiziya or "infidel's tax," their departure, or their lives. The Christians left, marking the first time since shortly after the life of Jesus that Mosul is devoid of Christian residents. Many of those Christians are Assyrians – indigenous Iraqis who speak a form of Aramaic. Aramaic is the language Jesus is presumed to have spoken by most historians, and while rare around the world today, remained a prominent tongue in much of Iraq and Syria. It is the language spoken in Mel Gibson's The Passion of the Christ (2004).